From November 5-10, the Agricultural Technology Adoption Initiative (ATAI) collaborated with the Institut des Hautes Etudes du Développement Durable (IHEDD) based at the University of Clermont-Ferrand in France to host a workshop in Dakar for sixteen mid-career agricultural research and project professionals from across West Africa. The workshop provided training in the development of research projects on agricultural technology adoption focusing on teaching participants about how to use field experiments and rigorous impact analysis for evaluation and program design. 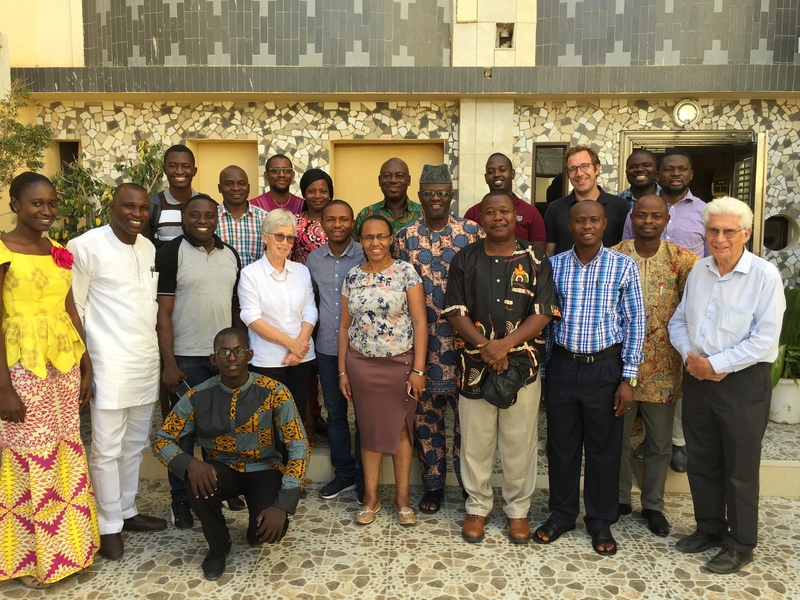 The training materials were developed based on several ATAI evaluations, and helped participants design their own evaluations of specific interventions they are deploying to increase the use of agricultural technologies by smallholders in West Africa. The event was designed and led by ATAI research affiliates Alain de Janvry and Elisabeth Sadoulet (UC Berkeley) with Tanguy Bernard (IFPRI).